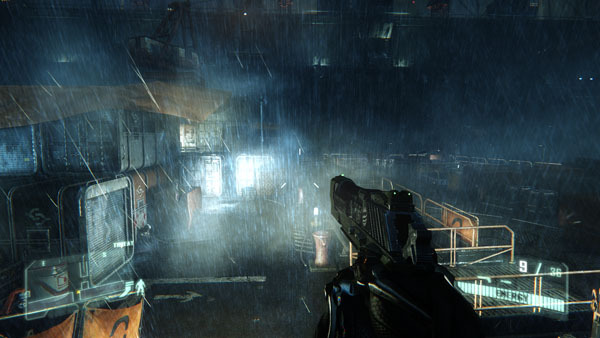 Crysis 3 is a beautiful-looking game that continues to tax high-end systems. We've FRAPS'd a 30-second section near the start of the game, with lashing rain, numerous reflections and full DX11 pomp on show. As per the notes on the previous page, remember that image-quality settings don't change when spanning resolutions. 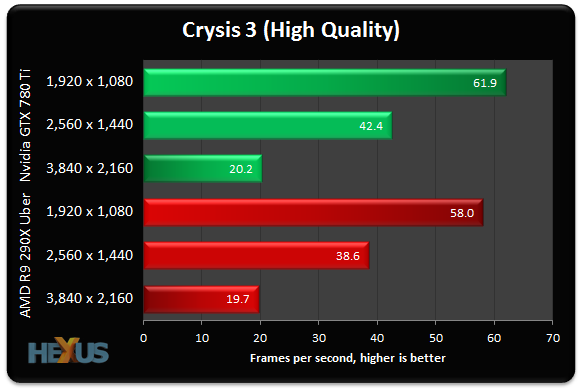 4xMSAA on the High Preset is maintained throughout the Crysis 3 benchmarks to show how performance scales with the added pixel count. Both cards deliver smooth gameplay at 1,920x1,080, performance is still just about acceptable at 2,560x1,440, but the 4K resolution really puts the hurt on both GPUs. 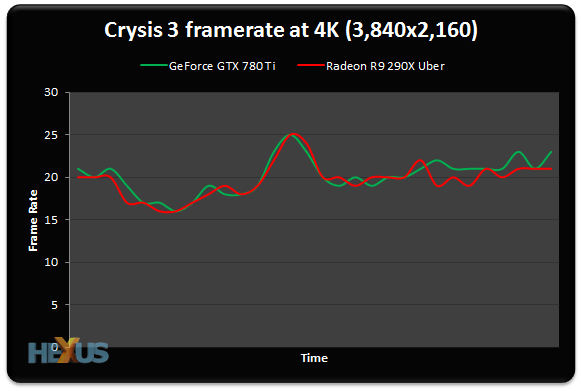 Examining the per-second results shows that the two GPUs are closely matched at 4K, but what's interesting is that the GTX 780 Ti's frame buffer is completely swamped, with GPU-z showing that a full 3057MB are being utilised. Makes you wish the 780 Ti had the Titan's full compliment of 6GB.